MedCalc allows a healthcare professional to search for entries by name, keywords, and categories. 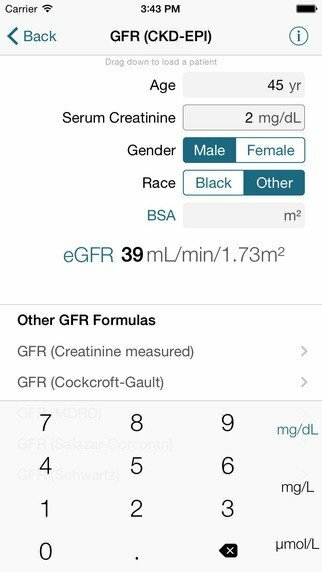 This free app provides access to a subset of formulas which are essential in the treatment of patients at a typical physician’s practice. 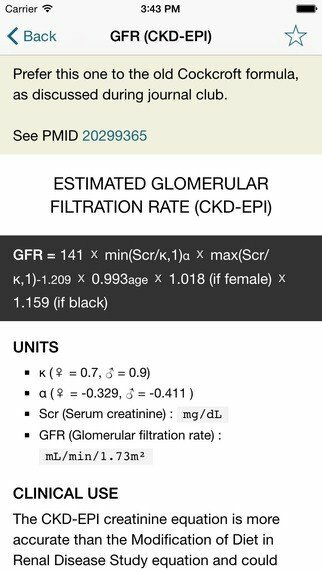 • Exclusive patient management feature for saving and accessing results, as well as images and notes. Results can be exported to the desktop as CSV files.